The following resource is focused on various broadband data plans that are available at the popular telecom service provider – Bharat Sanchar Nigam Limited which is abbreviated as BSNL. In the following article you will get detailed information on prepaid and postpaid broadband data plans that are available in India. The telecom services offered by Bharat Sanchar Nigam Limited (BSNL) are outstanding and their customer database is increasing day by day. It started to offer telecom services since the year 2000 and till date it has been successful in connecting more than 7000 towns and cities across India. Various services of this telecom giant have also been able to connect almost 6 Lakh villages of the country. 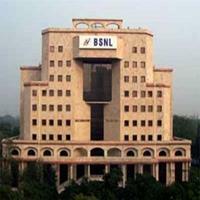 It is amazing to know that BSNL services are not available in the metro cities Mumbai and New Delhi. But it has a widespread network throughout the country and services like basic telephone, internet, GSM mobile and CDMA are being delivered swiftly. The latest technologies like FTTH (Fiber To The Home), voice over IP, VSAT, etc are being incorporated successfully and much of the customers are already using these services. Various broadband data plans are available at BSNL telecom and they are specially designed for home users as well as business users. The customer can also get a combo pack which can be used for both home and business purposes. The broadband internet service is available in limited and unlimited download variants. The fixed line serves best as there is less interruption and the data connectivity is tremendous when compared to the wireless internet access. There are very few occasions when the fixed line service gets disconnected but the customer service of BSNL is so efficient that they can spot out the error and fix it in no time. The postpaid customer of BSNL has to pay for both, monthly rental and broadband charges at the same time so as to access telephone and data services. In postpaid nomenclature there are plans like flexi combo plans, limited and unlimited broadband usage plans, special and rural plans. Here the first type of connection is of flexi combo plan and it starts with a minimum cost of Rs 500 and a max of Rs 1500 and they are tagged according to the charges. It means a customer using a plan of flexi combo 500 will have to pay charges as Rs 500 plus service tax which equals less than Rs 600 per month provided the calling and data usage is in the preset range prescribed by BSNL. Now the postpaid customers can pay for their broadband data charges on yearly basis and that too in advance. In this scheme, one month charges will be waived off it the customer pays 11 months charge in advance. For instance, if the customer has subscribed to Rs 500 plan then it has to pay 11 month charges which equals Rs 5500 in advance and only one month charges will be waived off. Similarly, if the user decides to pay for 2 years charges in advance then it has to pay for only 21 months billing amount and next 3 months charges will be waived off. Like wise if the user decides to pay 3 year charges in advance, then he has to pay for only 30 months billing amount and further 6 months charges will be waived off. This advanced payment option will definitely save some money and the customers have to make best use of this attractive payment option which is available for almost all the postpaid plans from BSNL in India. In 500 plan, there are 500 free calls as well as the broadband usage of Rs 500 will be provided. Here the data access charges are preset to Rs 0.30 per megabyte (MB). In this way plan - 500 offers a free data usage of 1.5 GB and the download speed will be about 2 Mbps (Megabytes per second) for first 3 GB data download and further the speed will be decreased to 256 Kbps and data download charges will be Rs 0.30 per MB. Like wise the Rs 750 plan will offer a free data download of 3.7 GB at a speed of 2 Mbps for first 5 GB data and beyond this limit the charges will be incurred at a rate of Rs 0.20 per MB. The Rs 1000 plan offers free 6.6 GB data access at a speed of 2 Mbps for first 10 GB data and beyond this data limit the charges will be Rs 0.15 per MB. The Rs 1250 plan offers free data download of 8.3 GB at a speed of 4 Mbps for the first 12 GB data; further data charges will be Rs 0.15 per MB. At last, Rs 1500 plan offers free data download of 15 GB at a speed of 4 Mbps for first 20 GB of data and thereafter Rs 0.10 per MB data charges are applicable. In all these plans the download speed gets slower to about 256 Kbps as soon as the stipulated download limit is completed at the user end. All the users can check their data usage statistics by logging-on to their online account at BSNL portal. It is important to note that free data access and first x GB of data are not the same. This means that if the download limit is completed then the customer will have to pay the extra charges with respect to the extraneous data accessed by them. Hence, it is recommended that the user takes utmost care while downloading the data and as soon as their speed decreases, it is better to stop downloading heavy data.